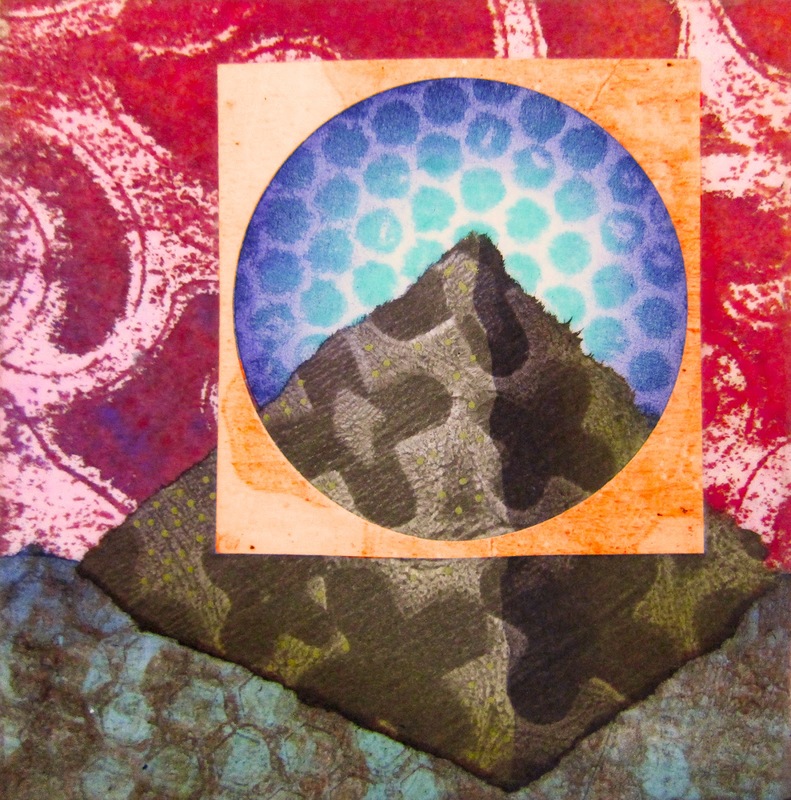 Printing with Gelli Arts®: Gelli™ Printing: Artist Trading Blocks! 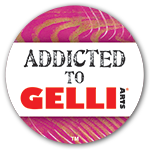 Gelli™ Printing: Artist Trading Blocks! 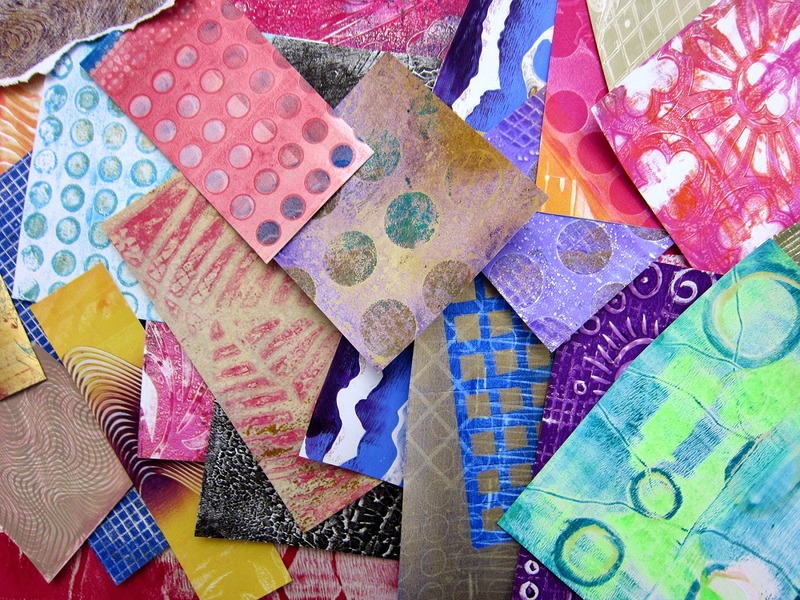 If you have stacks of Gelli™ prints and are looking for some fun ways to use them... how about making some Artist Trading Blocks! 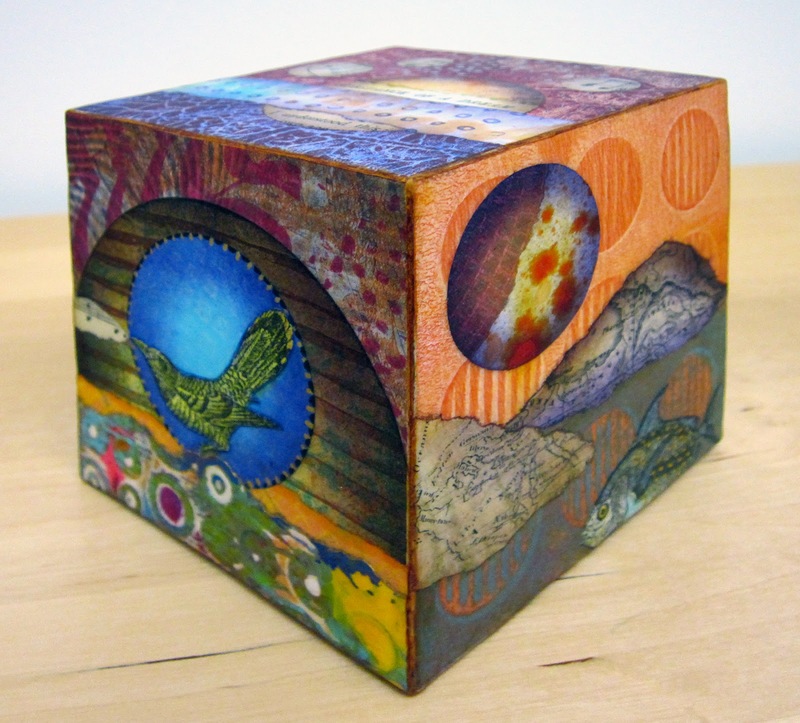 If you like to create small collages—Artist Trading Blocks (ATB's) are a perfect substrate! Each block gives you SIX small surfaces to cover! There are no rules, so any block will do. Many artists choose to make a block, or cube, from chipboard or matboard. Templates for making boxes are easy to find. Or you can construct a cube from book board to the size you want. But I especially love wood blocks, so that's what I used. Luckily, I had a renovation project going on and my contractor was kind enough to cut up a 4x4 post and supply me with a bunch of 3-1/2" square wood blocks. I sanded them and filled the rough surfaces and imperfections with molding paste. When they were dry, I sanded them again and gave each surface a coat of gesso. 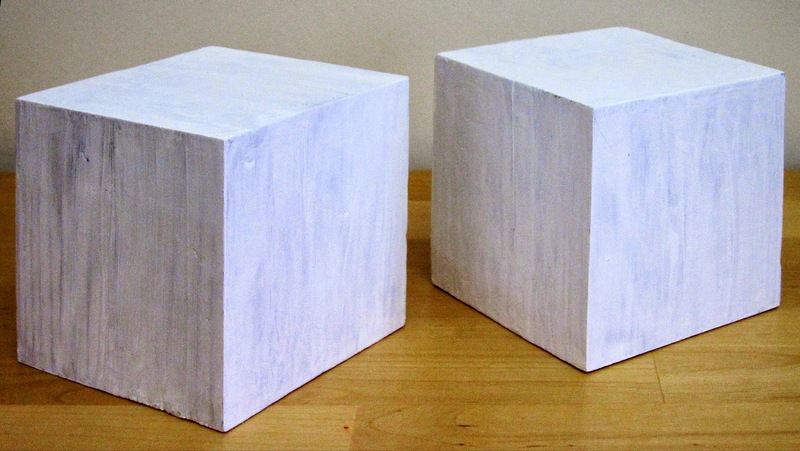 These blocks are heavy and have a nice solid look and feel. Cut six squares of heavy paper stock or bristol, each slightly larger than the block's surfaces. I used Strathmore Bristol (Smooth)—it's a great collage substrate. 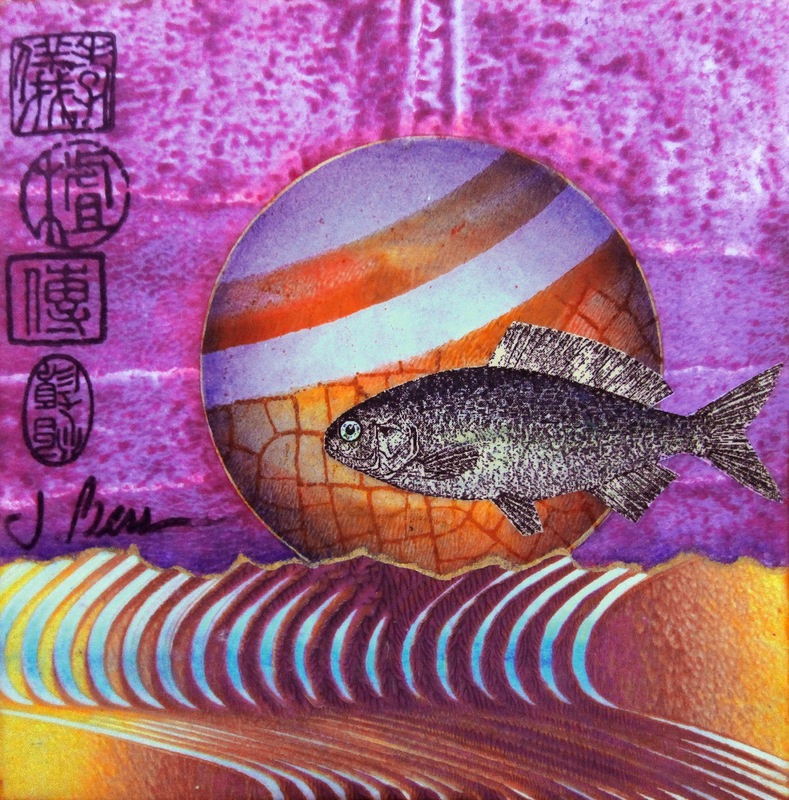 Select Gelli prints to create backgrounds for the collages. Tear or cut printed pieces, then arrange and glue to the bristol. Glue a collage background to a side of the block. Place the block on a cutting mat and carefully trim the paper against the edges of the wood block with a craft knife. Do this for each side. Build a collage image on each background—and glue the pieces in place. If desired, add details with colored pencils, metallic paint pens, rubber stamps, and your favorite embellishing techniques. When the piece is complete, you may want to varnish it. The smooth block begs to be handled! I found my theme for this ATB when I came across a circle I had punched out from an old book titled, Substance of a Dream. So my plan was to create a dreamscape collage on each side of the block, each including a sphere or circle image. It's a bit like the process for creating content for an artists' book—the six sides lend themselves to presenting a narrative or taking a thematic approach. ATB's don't have to follow a theme—they look fabulous as decorative blocks, covered with some of your favorite Gelli prints! Make a bunch! Mix up the sizes! Cover assorted small wood blocks from the craft store! It's addicting! NOTE: I used several coats of DecoArt Satin Varnish on this block and loved the way it intensified the colors. However, it was a bit too shiny to photograph without glare, so I added a final coat of DecoArt Ultra Matte Varnish to eliminate the shine. The block ended up with a lovely matte finish and the artwork is completely sealed and protected. Wood blocks are perfect for further altering, like hammering embellishments into them. Lots of ATB's are covered in dimensional embellishments. Many are built up with pieces added on, such as feet, finials and all sorts of found objects. Some are constructed into a stack of multi-sized blocks, which can be glued together... or not. So many possibilities! And for a fun and different giveaway... 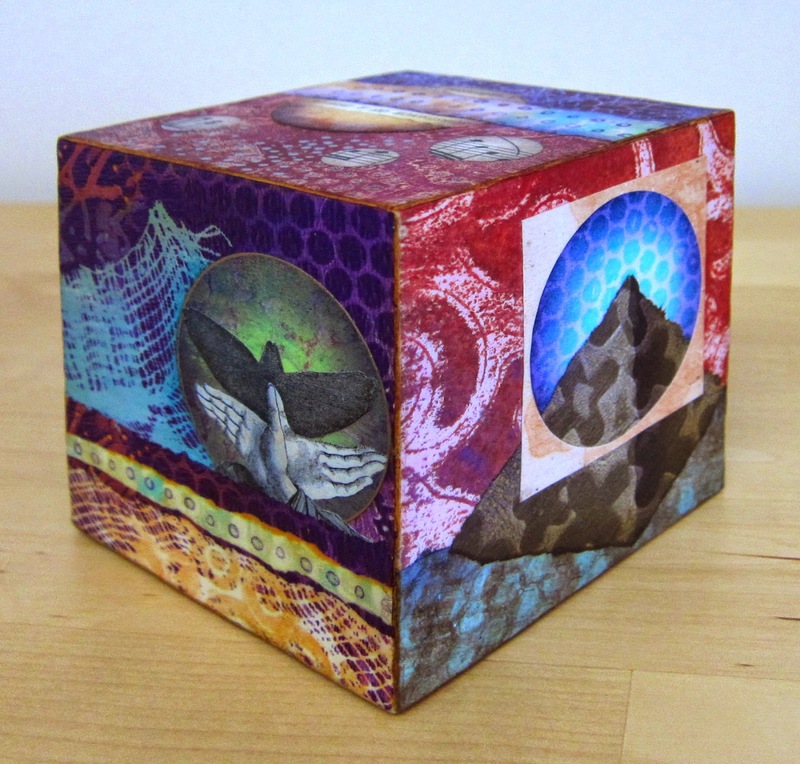 I'm offering my Artist Trading Block, 'Substance of a Dream'—shown in this blog! Entries will be accepted until Friday, Nov. 7th at 12 pm EST. Our lucky winner will be contacted by email and announced here on the blog and on our Facebook page no later than Friday, Nov. 7th at 5 pm EST! Please leave a comment below and share your thoughts! We love hearing your feedback! These prints are so beautiful! I have a lot to learn in order to be able to get my prints to look so interesting. Love this piece! The colors are so intense!! A great way to showcase your favorite Gelli pulls. this is AMAZING!! what a great idea. I have a box full of gelli scraps just waiting for me to do something with them! ♥♥♥ Beautiful!! Such a great project! Thank you for the giveaway. I'm crossing my fingers I win because I am in love with this block of art! Thanks for the tutorial also. Beautiful work! That's such a good idea, and I have a lot of square blocks laying around. So awesome!!! Gotta try this! Gorgeous block, tremendous prints and great idea! what a lovely idea! thanks for sharing your projects and tutorials. Your collages are so beautiful. What a fabulous idea. LOVE the concept. You can change your art every day by showing a different side. Love the block! It is beautiful! I need to try this. Wow, your block is beautiful! I hope I'm the lucky recipient of it. What a wonderful technique. I've been wanting to try out some ATB's and you've really inspired me to get going on that. What a great idea!! 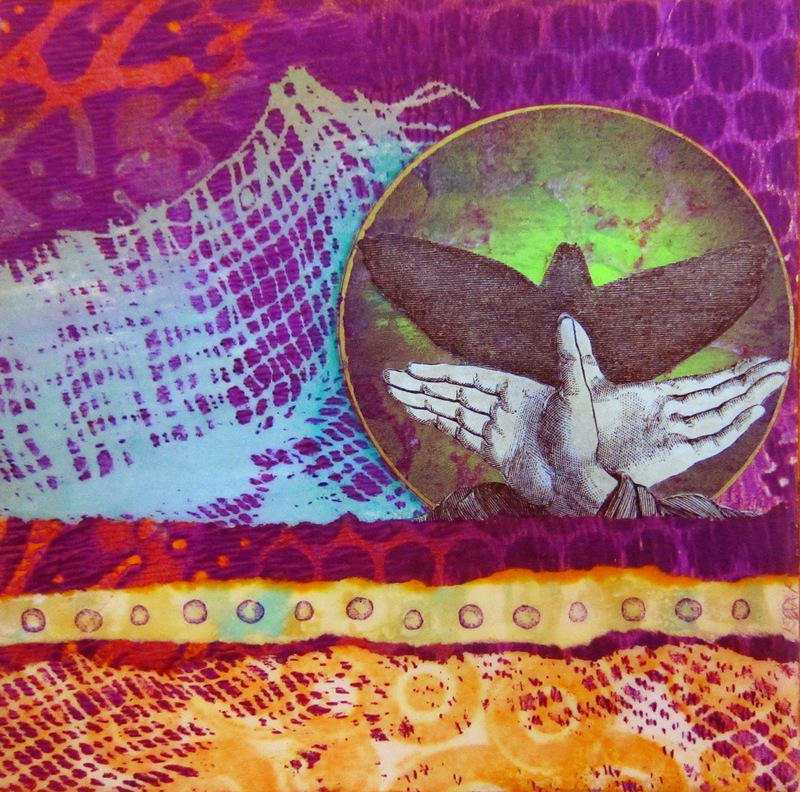 Love all the ways Gelli prints can be used! I'll have to say I have used my Gelli Plate more than any other art tools I've ever purchased. Thank you for all the ideas you give us on this blog...and for the opportunity to win the ATB! Love the idea of ATB's and your incredible art. Thanks for sharing. great ideas! 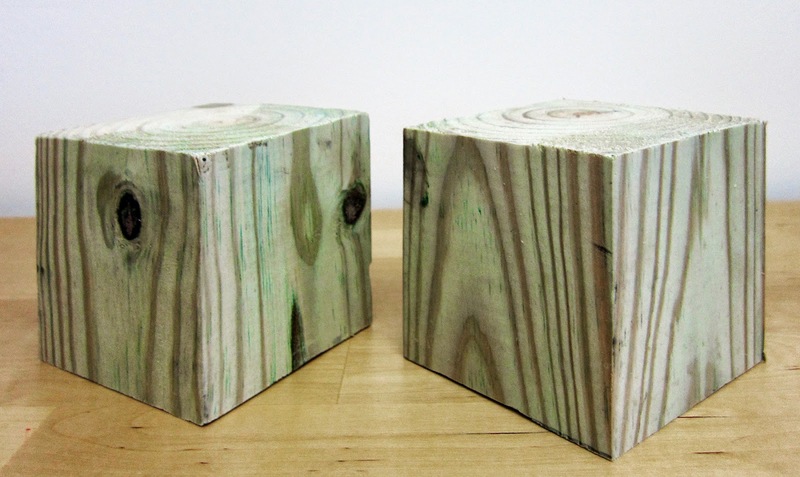 I already have some wood pieces that are not exactly squarish blocks, more rectangular…but would still be great collaged! Thank you! You all come up with the coolest ideas! Absolutely gorgeous! 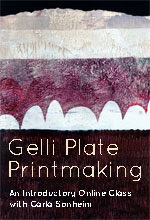 I now must buy a gelli plate. Neat idea. Would love to win. Beautiful ATB! Love the bright colors and the fishies. very cool. I love finding new ways to use my gelli prints. I haven't yet tried doing Artist Blocks, but I know I want to. Great idea, I've already ordered some blocks. How creative and inspiring to see more ways to create. It's great!! What a wonderful job! I like to create with the plate !! Your Artist Trading Block is beautiful! Thank you for offering it in your give-away! WOW! Beautiful saturated colors! LOVE the ATC Block!!!!! Thx for the opportunity to win it!!!! what a gorgeous ATC block. I am going to have to try that too but my blocks are actually atc size block 3.5x2.5x1 . Wow! The prints you used and the block you created are gorgeous! This sounds like a great idea. I'd love to do a smaller one and glue a painted clothespin on top to act as a paperweight/noteholder. LOve LOve this piece it sends me into Dream land. I may never acheive these levels but the inspiration will keep me trying for a lifetime thank you. This is so neat! I've never seen anything like this! But, what great gifts these would make! 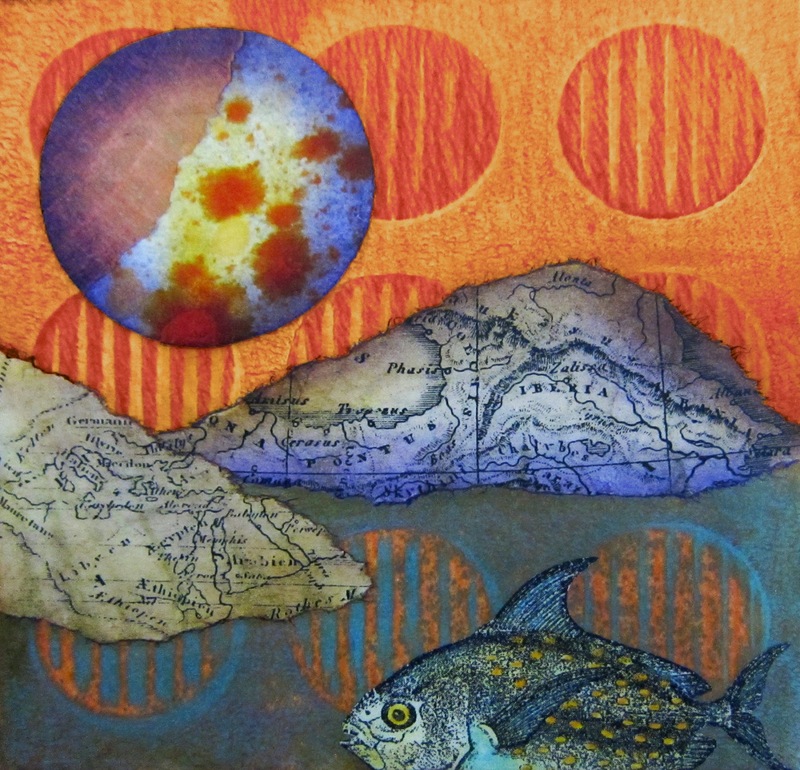 excellent idea how to use gelli print. Love the bautiful block. Come back another time. Apparently they were unavailable ??? This is truly magnificent, I love it so much! I've tried to enter giveaway after some broken links, and then the page is down for entering. I'll try again tomorrow because I sure would love to win this. Thanks for the amazing inspiration! These are gorgeous. 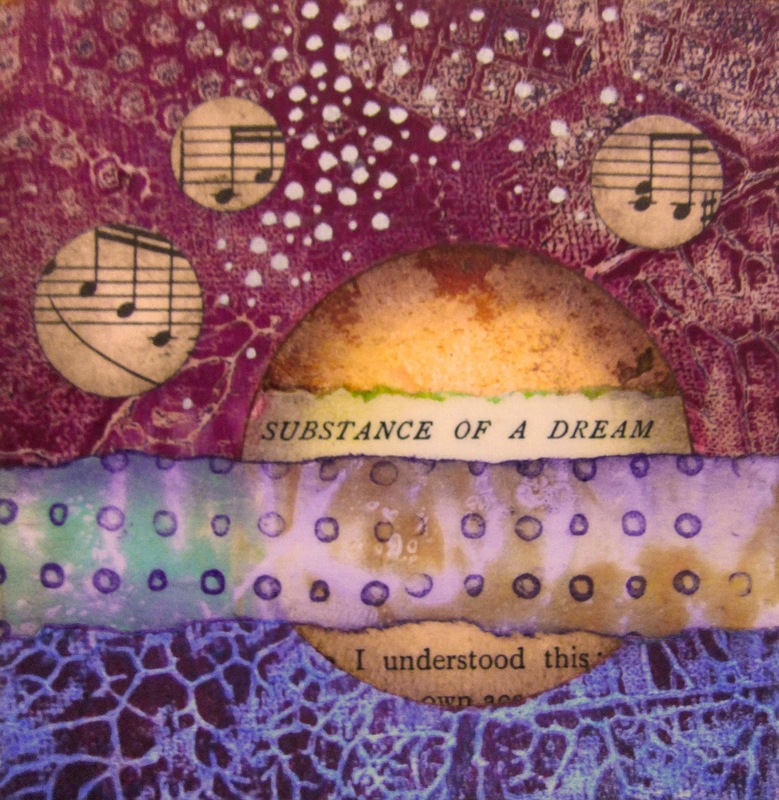 I love all the layering you did - I can't wait to try this with some of my gelli papers - I'm a newbie at this and I'm always looking for ways to use my papers. Thanks for sharing. A wonderful idea and the images are so evocative and appealing - makes you want to keep it beside your bed to aid in sweet dreams. 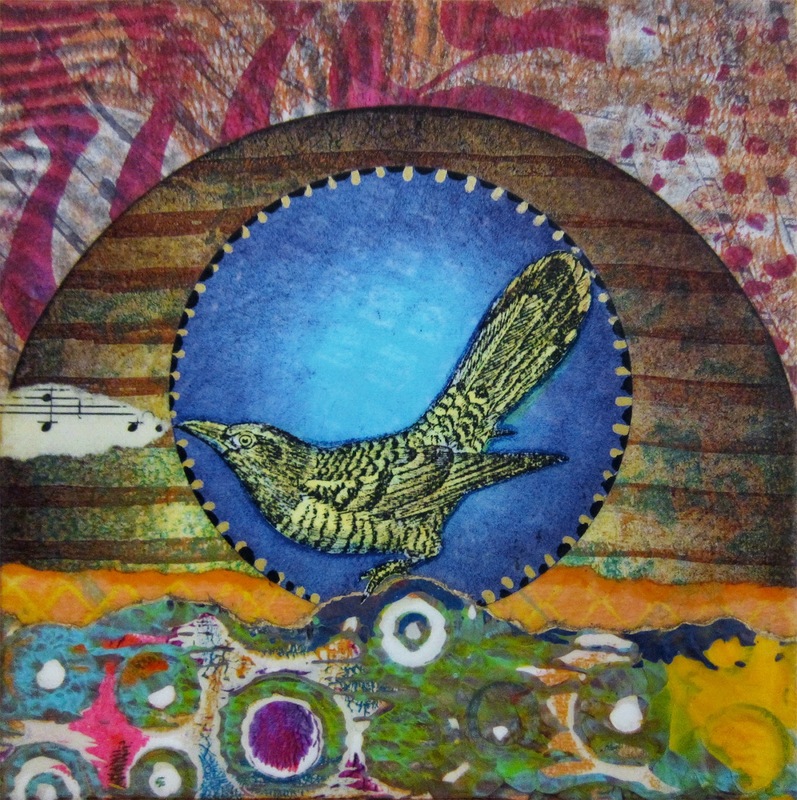 What a lovely way to use Gelli prints! I don't know why I've not seen or heard of art blocks before. I love how yours turned out. So pretty. Thank you for the tutorial. Those are really nice cards. I would love to send that my Brother. This business was doing good for so many people are participating. We are providing canvas printing, canvas print, canvas print malaysia and kufi art in Singapore and Malaysia. Kindly contact us for more. This is excellent information. It is amazing and wonderful to visit your site. It really gives me an insight on this topic. Good blog! You have described in a nice way. The blog was absolutely fantastic! Great job, keep it up.